Recently, I wrote about what it takes to make $200,000 a year as a programmer, based on the advice of those who had reached that bar. A real world example of a developer who not only reached it, but went way beyond it, was told by Michael Lewis (who wrote Moneyball) in the September issue of Vanity Fair. It’s not only a story of a man who probably went to jail unfairly, but also a manual for what it takes to become one of the highest paid programmers in the world. 1991 - Aleynikov arrived in U.S. from Russia to study computer programming (according to the New York Times, he arrived here in 1990) and got a job operating computers at a New Jersey medical center for $8.75/hour. Subsequently, he worked at the Rutgers Computer Science department, eventually earning a master’s degree. 1998 - After several years working at an Internet startup company, he got hired by IDT, a New Jersey telecom company, writing code to more efficiently route high volumes of phone calls. 2006 - He was recruited by a Wall Street headhunter, who felt he could make more than his then-salary of $220,000 a year at IDT. 2007 - Goldman Sachs hired him at a salary of $270,000 per year, after an exhaustive interview process (one interview question he had to answer: Is 3,599 a prime number?). His chief task was to help maintain and improve a decade-old legacy application (with 60-million lines of code) used for high-frequency trading. 2008 - He received an offer of $400,000 per year to work Swiss bank UBS, which Goldman Sachs matched. 2009 - He left Goldman Sachs for Teza Technologies, another trading firm, for a chance to build a new trading system from scratch at a salary well over $1 million per year; specifically, at about triple his Goldman Sachs salary, so around $1.2 million per year, which made him one of the highest paid programmers in the country. 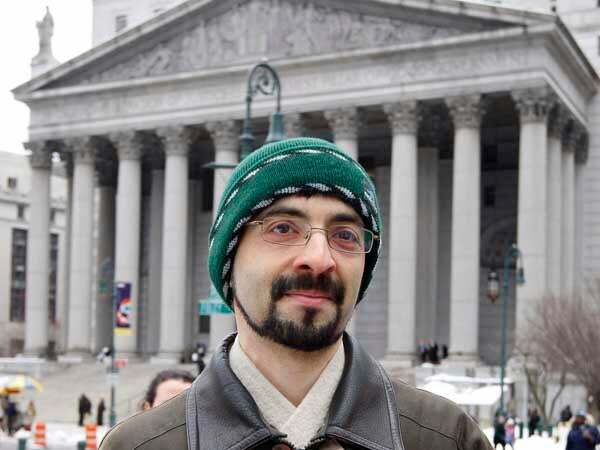 About a month after starting at Teza, he was arrested by the FBI for taking some of the Goldman Sachs code with him. He was eventually sentenced to 97 months in prison, though it was overturned on appeal after he spent 11 months behind bars. He’s currently still being prosecuted by New York State. Again, his legal case is a whole other (very interesting) matter, but his salary history alone makes his story fascinating. Be really, really, really smart - As Lewis wrote, Aleynikov “was not just smart but seriously gifted.” Never hurts to be a genius. Work in finance - Working on Wall Street, writing software that makes companies lots and lots of money, is a surefire way to make yourself in demand at a premium price. Work all the time - According to Lewis, even during his days working in telecom, Aleynikov worked constantly and wasn’t very close to his own wife. Leverage other job offers - Aleynikov boosted his Goldman Sachs salary to $400K by getting an offer from another bank, and they apparently were also willing to at least match what Teza offered.